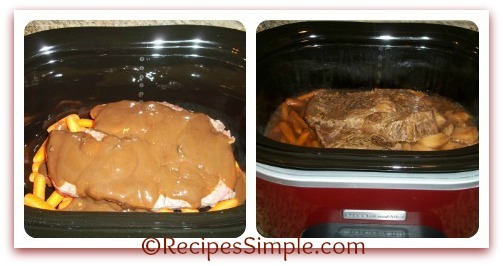 The only way I cook a Pot Roast is in the slow cooker. It is so easy and delicious! 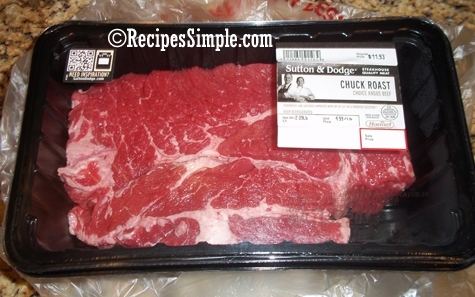 I start with a 4 or 5 pound Chuck Roast. Salt and pepper both sides of roast. Don’t be afraid of the fat in roast. The marbled fat is what gives it flavor! 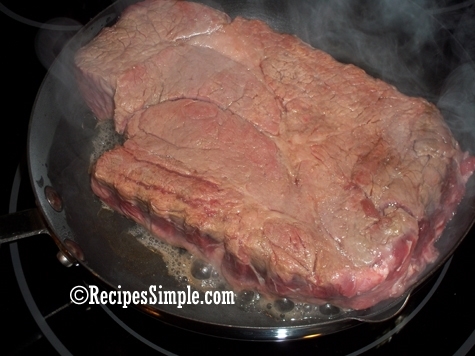 I always sear the Chuck Roast on all sides before adding to the slow cooker. 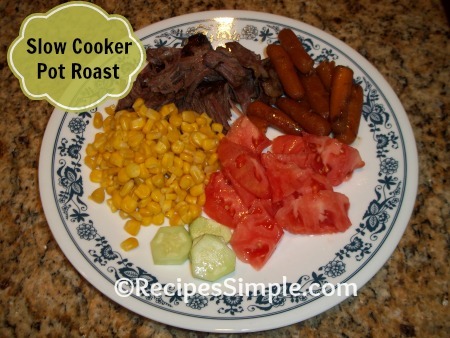 Next add the vegetables and the browned Chuck Roast to the Slow Cooker and pour in your gravy. Over medium high heat brown the Chuck Roast. In the slow cooker add Baby Carrots, onions and potatoes. Add browned Chuck Roast. Pour beef gravy over the roast beef and vegetables.